There’s someone you can’t seem to forgive. You know it’s God’s will, but forgiving them is more difficult than anyone else in your life because they don’t deserve it. Strangely, the person you can’t forgive is the same for most of us. The person that is hardest for me to forgive—is me. For many, forgiving ourselves becomes a stumbling block. We say we’ve done it, but we haven’t—not deep down. The problem is—this affects our relationships and every aspect of our lives. It can become a poison and prevent us from being used by God. God never hesitates to forgive a contrite, repentant heart. So why is it so difficult to forgive ourselves? Unfortunately, the Church doesn’t always make it easy. In the case of divorce, we have failed miserably in ministering to those divorced by no fault of their own, as well as those needing repentance from sin and restoration to the Church. The worst stigma that plagues divorced Christians is the subtle form. Outright prejudice is easier to deal with than insidious, pious prejudice. Although we tend to place the blame on the offender—the one who had an affair or who is addicted to drugs and alcohol—we all too often judge the partner too. I know this is a broad statement, and not true in every case. But it does happen, and it happens too frequently. The result is guilt that never goes away. The more you are judged, the more you feel judged. After a time, you start believing it, and the struggle begins. It’s difficult to accomplish anything when guilt and false conviction hovers over us. When a judgmental friend or group of friends causes this, it is sin. No matter the reason, if we don’t forgive ourselves, we build a wall between God and us. I use the word build, because it’s us who create it brick-by-brick. In my blog, GOD’S FOUR STEPS TO FORGIVENESS, we examined practical steps to take in order to receive God’s forgiveness and be restored to Him. Forgiving ourselves follows the same principles. In the process of forgiving ourselves, the categories are the same, but the definitions are not. When we seek God’s forgiveness, we are to humble ourselves before Him. But if it is our own forgiveness we seek (and we should if we’re withholding it) this humility takes a different form. It is the most humbling experience imaginable to allow ourselves the liberty to receive forgiveness of our own sins—from ourselves. We know God forgives us if we are sincere and He is our Savior. But do we mistakenly believe it’s a spiritual step upward to hold ourselves accountable and not let our conscience off the hook? In other words, do we think we have the right to hold ourselves hostage by not forgiving ourselves of our own perceived wrongdoing when God has already paid the price with Christ’s blood? It’s important to go to the Lord sincerely for His forgiveness. In the same way, when we seek our own forgiveness, we must search our hearts for proper motives. This is not a simple feat. For example, are we withholding forgiveness out of anger for what we’ve done, or what others have done? No matter why you withhold it, it’s not okay. If God forgives, we must too. This is a cleansing process. When we sincerely approach his throne and spend time with Him, He convicts us and convinces us at the same time. We must actually ask forgiveness for not forgiving ourselves—it’s sin too. Moving from unforgiveness to forgiveness. It means moving from self-righteousness to true righteousness. 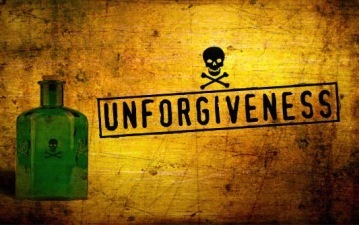 The self-righteousness of refusing to forgive myself elevates me to a position above God, which is unacceptable to Him. Sometimes forgiving ourselves is tied to forgiving those who have wronged us. This is especially true when the sin of self-gratification in their lives created the suffering in ours. This is what happens when a wayward spouse demands a divorce the partner doesn’t want. The question has been asked, do we get God’s love? Do we understand that the love He offers is unconditional? Do we believe the forgiveness He offers can’t be earned? Do we take Him at His word and allow him to cleanse and restore us? Or do we hold onto sin and let it fester? As Christians, we don’t have the option to deny forgiveness—to anyone—including ourselves. Our forgiveness is to be like Christ’s. When He forgives, we forgive. Even when we don’t think we deserve it. Previous: MEN — ARE YOU TOUGH ENOUGH FOR THIS?